The ONDC has just returned from the Copa Yumuri Invitational competition held in Matanzas Cuba. Through a comedy of errors that will be featured in another write up, all members have returned safely with their luggage through the terrible ice storm that spread across Ontario. On a warmer note, the ONDC brought a team of 6 athletes + 2 athletes that were selected to attend as members of Team Ontario to the competition. For many of our team members it was their first time diving at an international level, many athletes first time to a different country and many athletes first time diving outdoors. Exposed to all the elements, the ONDC put their best hurdle leg forward took to the boards with confidence which results in numerous outstanding results from all our team members! We began our travels on Sunday April 8th and two days of practice on Monday and Tuesday before the competition began. The athletes took in the ocean, the 35 degree heat and a quick trip to Saturno’s Cave where they could explore and swim in a cave with the other 50 Canadians who attended the competition. Over the 4 days of the competition each member was able to have one day where they did not compete and were able to stay back at the hotel with fellow team mates for some R&R for the day to help bring balance to work and play throughout the trip. Each member was taken out on a catamaran for 2 hours where they got a chance to swim with thousands of fish and among beautiful coral reefs. It was a great way to refresh the mind and get away from diving for one day and really embrace the Cuban culture and enjoy the many great experiences Cuba can offer. Throughout the trip each team member was paired with their roommate and was given a scavenger hunt that was designed by coach Mary. 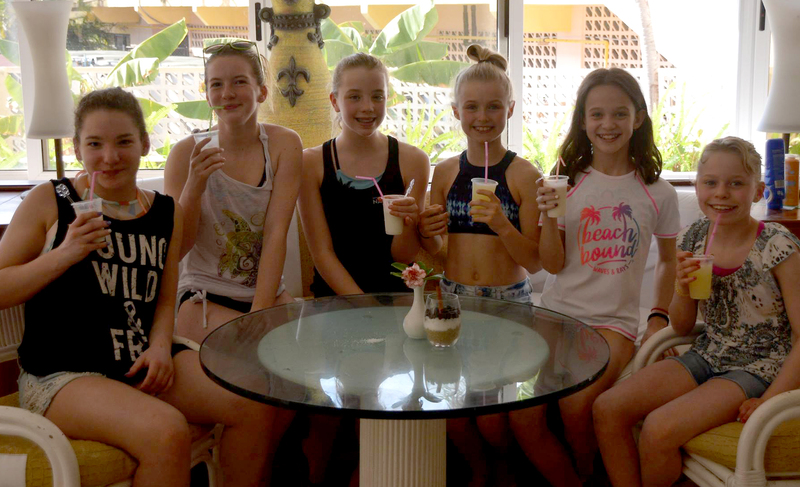 This scavenger hunt was designed to help each athlete get away from their phones and tablets and to get out an explore what Cuba has to offer and to make new friends. Each task was harder than the next and after 14 tasks, the first place team was given 2 free day passes to Calypso water park his summer! Needless to say each team worked very hard on these all week and made so many friends from all across Canada and many new friendships with the divers from Cuba. The winning team was Kathryn Grant and Emmanuelle Roberge-Le! You guys did a wonderful job! I am so pleased with our athletes on this trip. I could write on and on about their behavior and their results etc. but this trip was about more than the competition and the athletes. It was an experience in a country that is not as fortunate as Canada and to learn about their culture and take in everything day by day. We asked the divers a simple question after the competition – “What will you remember most about Cuba?” And the answers were “all of the friends I made on the trip”, “how beautiful the ocean is” and “how happy and nice all of the people are”. I believe that when you can get a 10 year old to arrive at these answers on their own, the ONDC family has done its job. We were fortunate enough to bring many small gifts to leave for each of the people that helped us through our journey in Cuba and I would like to take the time to everyone for this. The smiles on everyone’s faces and the pure joy that could be seen does not go unnoticed. 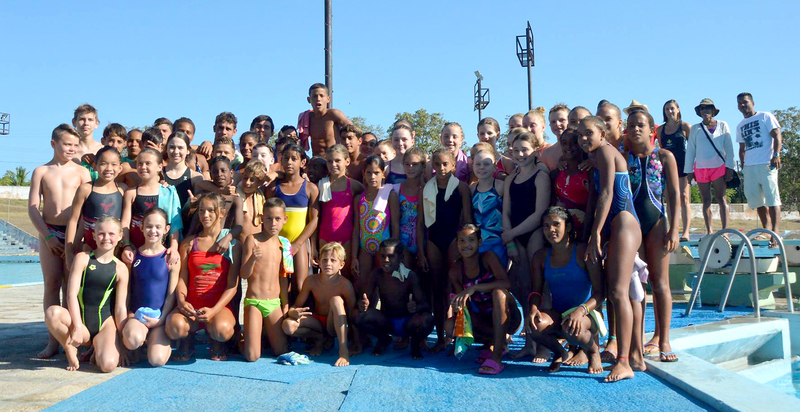 Some of our athletes left bathing suits for the cubans, they wore them everyday after receiving them. Some athletes left toys for the kids, within 20 minutes they were playing with all of them. Some left small care packages containing medicine and hygiene products that are very hard to get in Cuba. Some left Canadian goods for all the people that worked endlessly at the competition and by the time our week had drawn to a close, just about all of the Cubans knew the ONDC family. Every once in a while I stop to think back on experiences like this trip and realize the impacts a team like ours provides for young kids as they grow into adults. When our coaching staff can stop and look to our team fully immersed with all the Cuban divers cheering and playing games, that is a small victory. When we can see a kid who has never seen the ocean before take her first steps into the water, that is a small victory. When athletes can rise to an occasion and work hard to get all the dives needed to reach this level, that is a small victory. When a language barrier does not stop a young diver from trying to make friends, that is a small victory. When a 10 year old at 2:30am on a plane wakes up briefly and her first words are “I am never going to forget this trip”, that is a small victory. These small victories are what continue to motivate and empower us as coaches to continue to work with all levels of athletes to inspire them to continue to work hard and be granted opportunities like this trip to further develop as a person and an athlete.